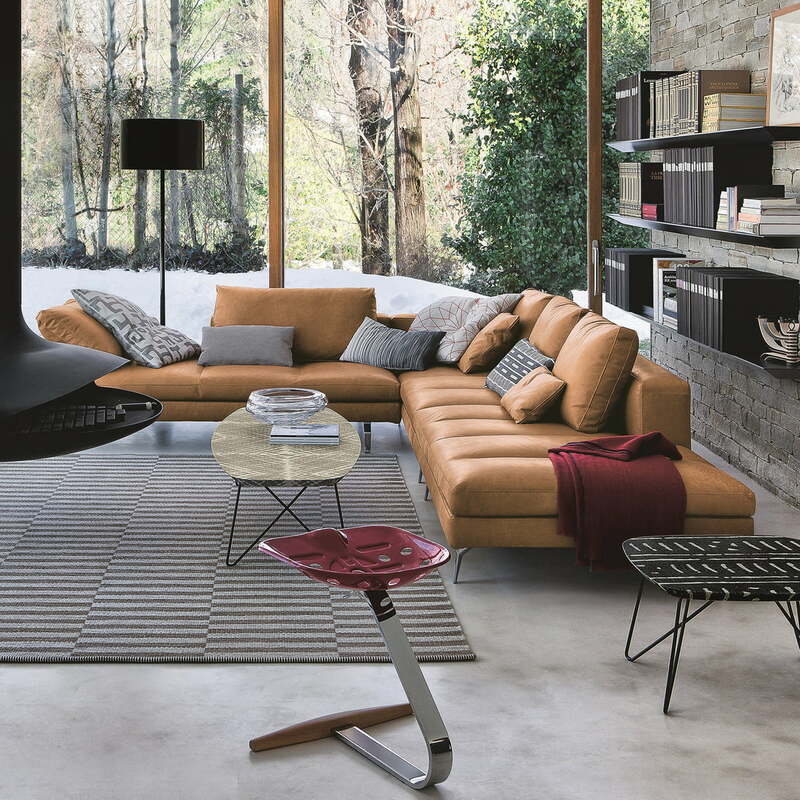 The Ink table, designed by Emilio Nanni in 2013 has something exceptional: The surface of fabric. 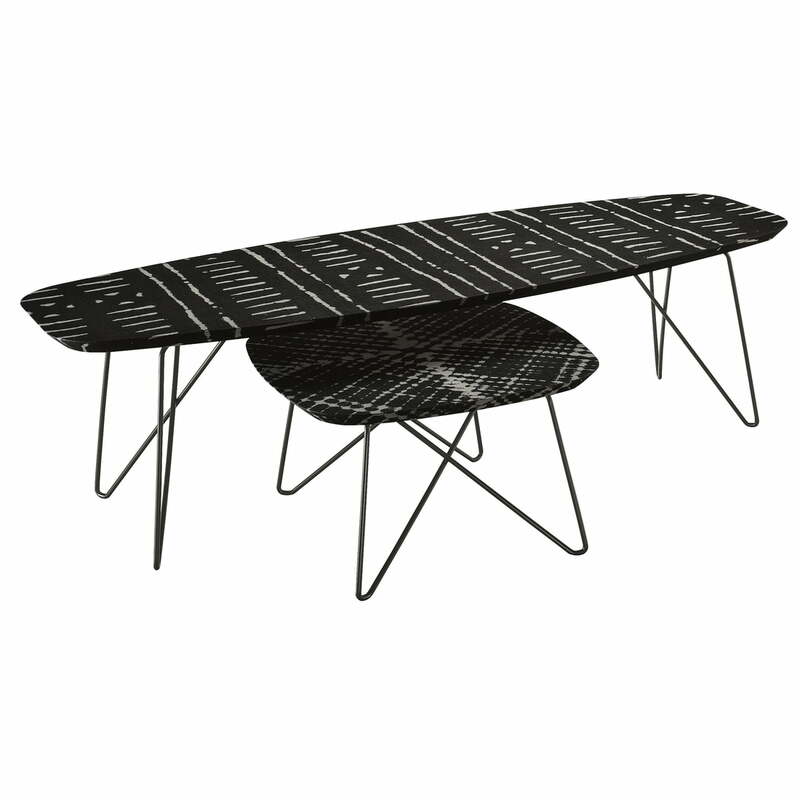 The specialty of the side table Ink is not only the material, but also the processing of it: The table top of the Zanotta Ink table is covered with fabric, which is fixed with special resin (Rezina tessile). The fabric surface is equipped with different decors in a digital printing procedure, which is also the reason for the name Ink. Two different patterns are selectable: Stripes or rhombuses ornament the table top. Both decors are available in black or mud each one. 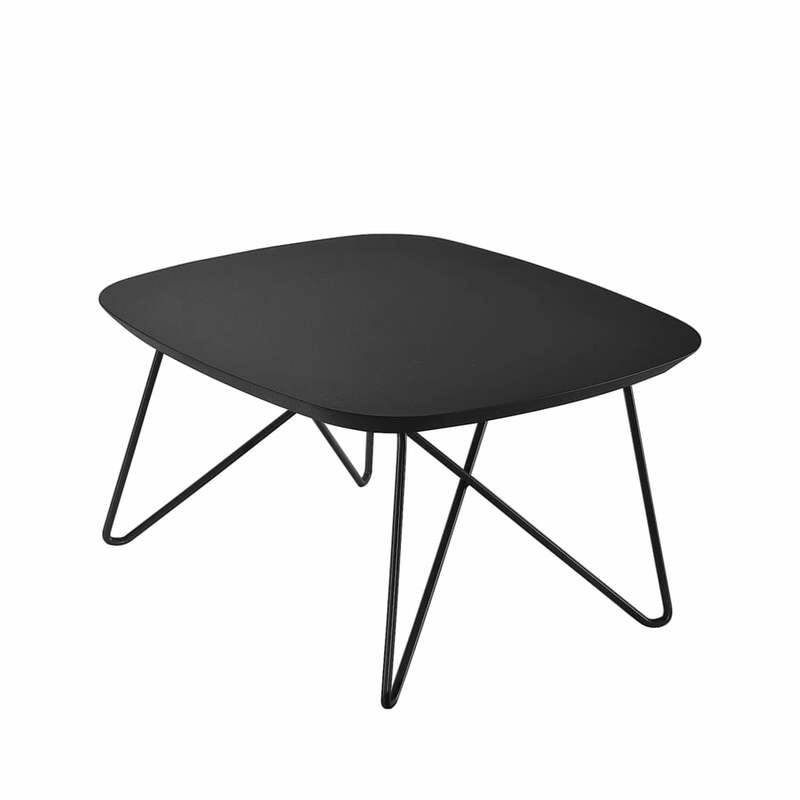 Zanotta produces the Ink table with a top of fabric-coated and resin sealed MDF; the legs are made of lacquered steel. 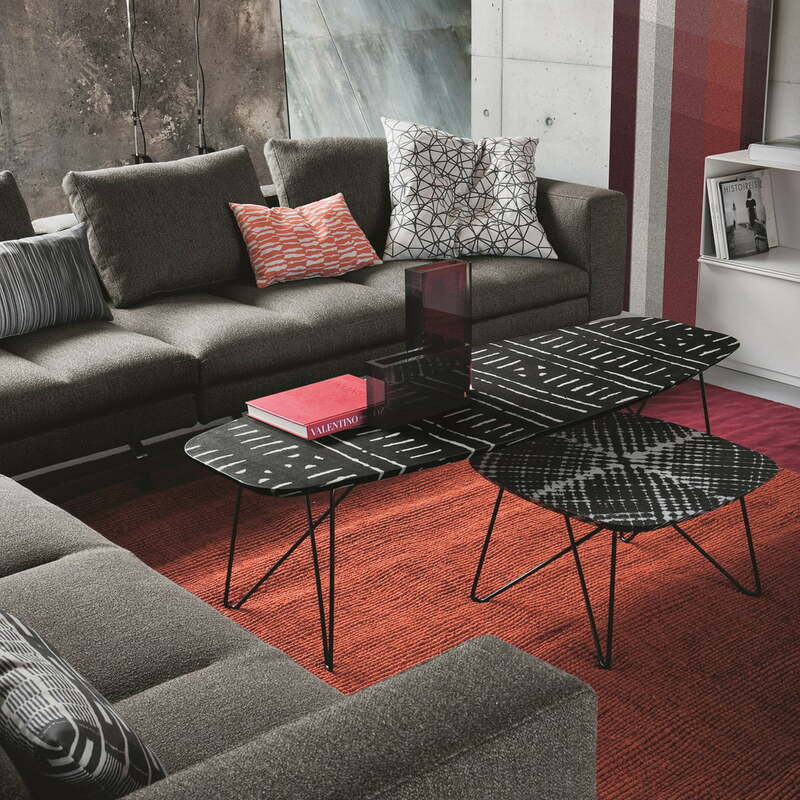 Beside the Ink tables with patterns, Zanotta also offers the couch and side table in simple variants (white, red or black). A total of three different sizes are available: one square edition (60 x 60 cm) with 35 cm of height, as well as two rectangular ones (60 x 160 cm) with 35 or 45 cm of height.